The Baker Street Bag only features one pattern piece. The rest are rectangular cuts, so there is only one page of templates to print and therefore no taping together! 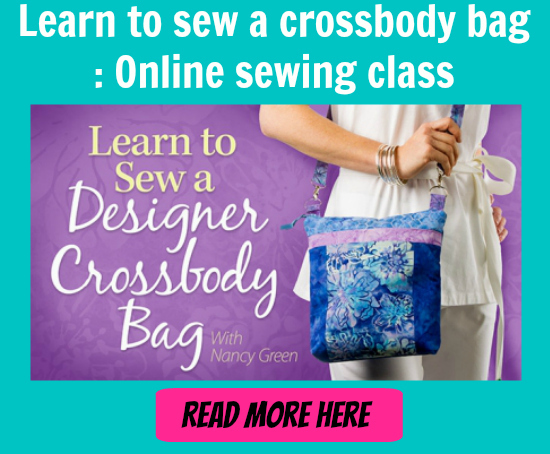 When making this bag, you’ll assemble the top closure with a recessed zipper. Although you can if you prefer swap out the zipper for a magnetic snap closure. There are also some quick and easy topstitched pockets in the lining of the bag. The finished size of the bag is 12” long by 8” tall by 4” deep and can be made by beginner sewers. Scroll down under the video for the pattern download.